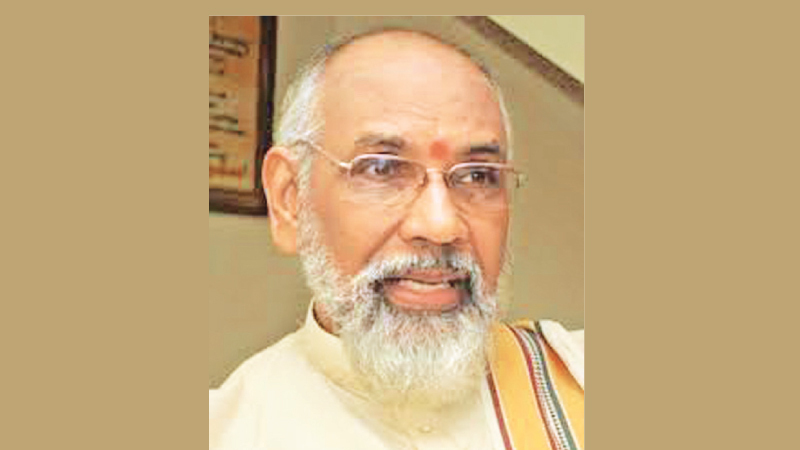 The Court of Appeal yesterday fixed for February 13 the delivery of its order regarding the preliminary objections raised by former Northern Province Chief Minister and former Supreme Court Justice C.V Wigneswaran regarding a contempt of court action filed against him by Provincial Council Minister B. Denishwaran. Court of Appeal Justice Janak de Silva made this order as a part of the contempt of court proceedings filed by Denishwaran alleging that Wigneswaran, Ananthi Sasitharan and K. Sivanesan have willfully acted in contempt of the Court of Appeal order since they prevented him from acting as a Minister of the Northern Province. Denishwaran stated that the first respondent Wigneswaran has, by his conduct and statements, acted in contumacious and willful disobedience of the order of the Court of Appeal and thus committed an act of contempt against the authority and dignity of the Court of Appeal. The Court of Appeal on June 29, 2018 issued an Interim Order preventing the decision of former Northern Province Chief Minister Wigneswaran to expel Denishwaran from functioning as the Fisheries and Transport Minister in the province. The petitioner Denishwaran had challenged Wigneswaran in the Court of Appeal, complaining that the Chief Minister had no power to appoint or remove any Provincial Council minister. Former Chief Minister Wigneswaran had also filed an appeal in the Supreme Court challenging the Court of Appeal’s Interim Order to prevent his decision to remove Denishwaran from functioning as the Fisheries and Transport Minister in the province. Counsel Suren Fernando appeared for the petitioner Denishwaran. President’s Counsel K. Kanag-Iswaran appeared for former Chief Minister Wigneswaran. M.A. Sumanthiran, PC, appeared for the fifth respondent.